How To Be More Creative, Whoever You Are! 'Giving' can provide a sense of purpose, fulfillment and a sense of connectedness to something bigger, but there can also be drawbacks... In this episode I discuss 3 scenarios where I gave my time and energy, and how they affected me. Balancing personal needs with those of others is paramount in order for everyone to get the best out of it. Sometimes giving too much can end in self depletion... :O I loved recording this one - it gave me so much joy sharing my volunteering and family stories!! 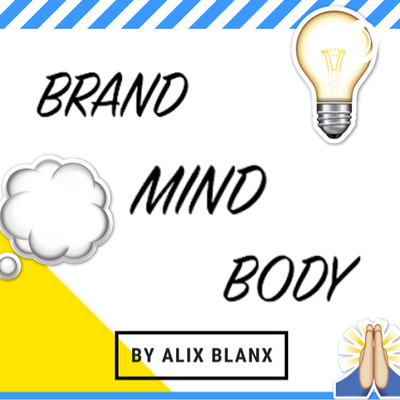 (Excuse the sound quality - I was on the road) BLOG: brandmindbody.blogspot.co.uk and IG: @a_blanx as usual. PEACE N LOVE. Life M.O.T time! Anyone stopped for a moment and thought about why they're doing what they're doing, and what's driving underlying behaviour and decisions? (and I don't mean like when making toast...). This episode covers some useful thought-starters on working out who 'you' are a bit further; dominant forces curating our lives and a deep-dive into 'self' using some examples from my own. P.s. Russell Brand's in it... BLOG: www.brandmindbody.blogspot.co.uk for further personal growth content and fun nuggets on the gram at: @a_blanx. Lots of love, loves! That's right - I quit alcohol, meat and people (well not wholly, I just removed myself from the bustle of city life) for a month when I lived on an island last year... All in the name of reclaiming my own voice, and re-establishing clarity and my authentic self without external influences. A few months on, I'm podcasting my learnings! The effects on mind and body were HIGHLY noticeable. I also changed my outlook on some things...like why I should DEFINITELY continue to drink alcohol WOO. Listen to the full ep today, yay!! Full blog post and pictures from island life, here: http://brandmindbody.blogspot.com/2018/10/the-search-for-serenity-wholesome-life.html Social shenanigans on IG &TW: @a_blanx. A podcast episode on podcasts! If you’re keen on hearing the stuff I consume, knowledge sources, and the key themes that feed my mind every week, have a listen! There's some female entrepreneurship, TED talks, artists trying to make it, and a US comedy duo thrown in. Here are my top 10 and what to expect... (plus a bonus!) Want more knowledge? 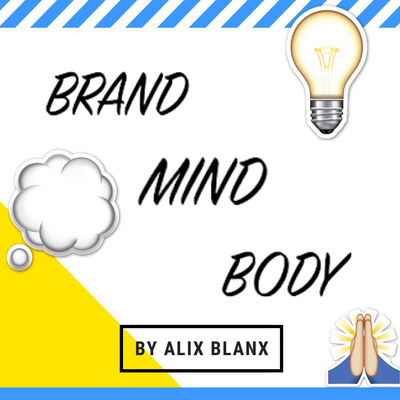 Check out my blog: brandmindbody.blogspot.com or follow @a_blanx on Instagram & Twitter for regular updates! Learning from loss is part of the grieving process and it can highlight the power of one person... A shorter episode this week due to an unexpected departure of a unique spirit and loved one to many. This person's light, energy, talent and compassion to all, deserves to be respected and shared, acknowledging the many lives they touched and will continue to, through their art and memory. 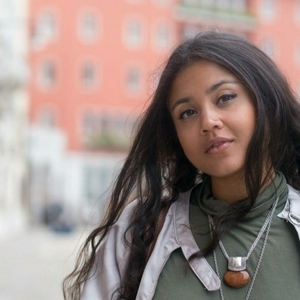 Here's how the space a person leaves can propel us into a more meaningful future... If you've ever experienced loss, know that it's okay to process how you feel fit and take everyday as it comes. RIP. If you've been battling with yourself for years and want to show yourself some love, this one's for you! This episode explores what factors contribute to how we view ourselves, what can influence our self worth, how relationships affect us, and some useful exercises to help us LIFE M.O.T and be kinder to ourselves. It's time to accept who we are - HUMAN, IMPERFECT, INDIVIDUAL. BEST LISTENED TO IN QUIET PERSONAL TIME over a cuppa or on a jolly walk! The full blogpost here: http://brandmindbody.blogspot.com/2018/06/a-closer-look-at-self-love.html Latest updates on IG: @a_blanx BIG LOVE! Addressing the usual schpiele on new year's resolutions, I offer a different way to look ahead that's less cliche, easier going and somewhat practical. In this episode I use reflections on 2018 as a springboard into 2019- aka wanting to feel more human, more myself, more centered and more honest. What themes has this past year brought up for you? Listen for some light wisdom that won't (hopefully) add any more pressure to this thing called adulthood! HAPPY NY!!! As always, updates on the regs on IG @a_blanx! Why Christmas is the Most Wonderful Time of the Year! We're nearing the end of another year - what a perfect time to capture the cheer and reflect! A 4-person family invite you to experience a snippet of their festive period in Sussex, England. In this spontaneous episode (during the making of Christmas lunch!! ), we discuss what makes Christmas magic, what human needs and qualities this time of year conjures up, and what's changed over the years on a societal and personal level. Maybe this giving season can help us enter 2019 with a better outlook...? HOPE YOU ALL HAVE A RUDDY GREAT FEW DAYS WITH LOVED ONES, HOWEVER YOU CHOOSE TO CELEBRATE! Check the jolly shenanigans on IG: @a_blanx! After 4 months away (journeying new landscapes internally and around the world), with 2.5 of them spent in Cape Town, SA it was time to reflect and round-up. As a 27-year-old, African mixed race, middle class, nomadic female from the UK, here’s what I learnt about myself, managing the process of being away alone, and how I’m perceived differently from another cultural and societal lens. As always, check regular updates on Instagram & Twitter: @a_blanx. My blog contains years of visual and mental goodies + solo travel learnings: brandmindbody.blogspot.co.uk. THANKS & ENJOY ☺️! It’s so easy for us to carry on viewing the world as we’ve always done and acting on default behaviour. But what if there’s a better way? In this episode I explore 3 new techniques for looking at, and understanding everyday encounters and difficulties, enabling us to respond and behave with greater empathy. This not only fosters more calm and fulfilment in ourselves but also for others, creating an easier time for us all! 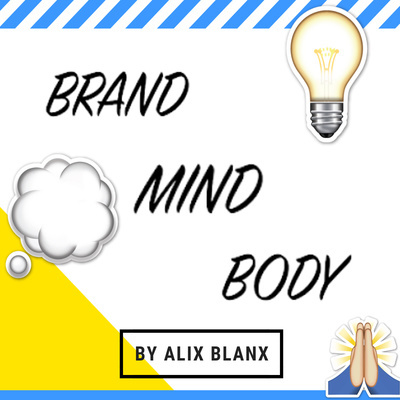 Ahhhhhh 🙏🏻 If you want more insightful stuff, check out my blog: brandmindbody.blogspot.com or follow @a_blanx on Instagram & Twitter for regular updates! Thanks and love. Morning Routines - Myth or Magic? Sometimes it’s so hard to know how much to plan, look to the future or live in the moment. When should we use our minds, trust our guts or go with feelings?! This episode cuts through these questions providing clarity on how to live life with more trust, ease and enjoyment, and how to use all of these approaches in harmony! Trying to find an outlook that suits you? Here’s: What hiking taught me about navigating life. For more on this topic, hit up brandmindbody.blogspot.com or follow @a_blanx on Instagram & Twitter for more regular updates! BIG LOVE.